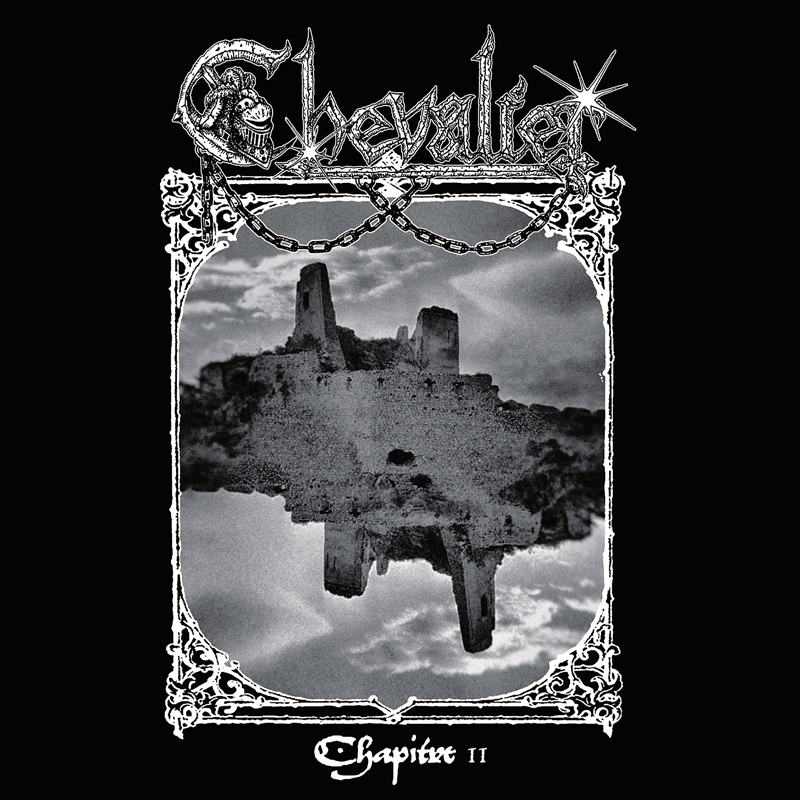 Preorder for CHEVALIER’s “Chapitre II” MLP with exclusive bonus track starts now. Vinyl release of Chevalier’s sold-out 2018 Chapitre II EP will be out on 12” MLP on September 21, concurrently with CHEVALIER’s show at HARDER THAN STEEL festival with Omen, Oliver Dawson Saxon, Ashbury, Cauldron and more. Chapitre II, was specially re-mastered for this vinyl release and features an exclusive BROCAS HELM cover version of “Fly High”. MLP is limited to 500 green vinyl copies and includes one A4 insert. Layout by Annick Giroux. Too often, hitting the “rewind” button on speed or thrash metal reveals bands more interested in rehashing past glories than offering something new. The speed/thrash explosion of the mid-’00s displayed that if anything, it’s far too easy to slap on a jean jacket, queue up Bonded by Blood, form a band, “borrow” some riffs and release subpar, uninspired material. Which brings us to Helsinki, Finland for an introduction to Chevalier, one of the most fiery and unique bands to hit the speed metal pavement in recent memory. Formed a mere two years ago, Chevalier (who consist of vocalist Emma Grönqvist, the guitar tandem of Tommi and Mikko, bassist Sebastian Bergman and drummer Joel), immediately got to work in their rehearsal room, whereupon they recorded their A Call to Arms debut EP. While their recent split with Legionnaire recorded in a traditional studio, the band opted to return to the comfortable environs of their rehearsal room for the tracking of Chaptire II. Sure enough, it has given Chevalier a throttling, reverb-soaked sound that catapults speak not only to the band’s speedy roots, but the labyrinthine song constructions similar to NWOBHM upstarts Hell and Mercyful Fate. Chapitre II is the band’s most diverse release to date, as evidenced by the expanded song lengths and oftentimes adventurous song layouts. Grönqvist, in her banshee-wailing, scream-queen glory, turns in a riveting performance, holding steady against relentless thrash beats and triumphant gallops. The songs themselves tackle a wealth of topics: “The Messenger” is about the rush to deliver a crucial message to one’s kingdom before paranoia kicks in; “Wrath of Steel” details a warrior’s thoughts on a bloody battlefield, and “The Curse of the Dead Star” is about impending doom from outer space. The combination of fantasy and science fiction lyrics along with urgent, challenging, melody-laden speed metal instantly sets Chevalier apart from the pack, where every song is more than just a simple headbang-a-thon — they are journeys onto themselves.